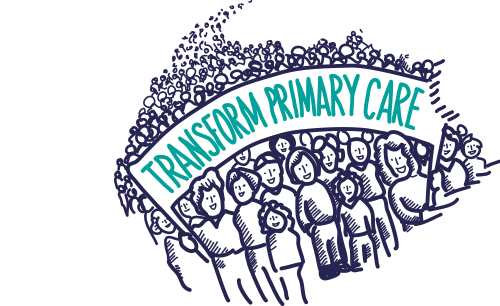 Collaborate is a mutually supportive community of leaders across primary care. Our mission is to ensure no leader in primary care feels alone or isolated. Collaborate is not aligned to any one organisation or profession, but is a dynamic and energised community of individual and emerging leaders with an interest in primary care. We support people who want to make a difference, people who want to take risks, and people who want to be brave, whether they have the word ‘leader’ on their badge or not. Change at system level starts with change at an individual level. Through Collaborate, leaders are giving each other the confidence, courage and conviction to transform care from within, making both their and their patients’ lives better. We are for leaders by leaders, connecting people at a human and personal level, and hope to create a new culture of leadership. One that values listening, purpose, risk taking, vulnerability and resilience. Over the past three years Collaborate has grown from a handful of leaders to community of many hundreds of leaders right across the country, both clinical and non-clinical. Connect with national, regional and local leadership networks via WhatsApp, Loomio or our programme of Collaborate Connect events. Jonathan, Mark and Mike explain more in their podcasts.